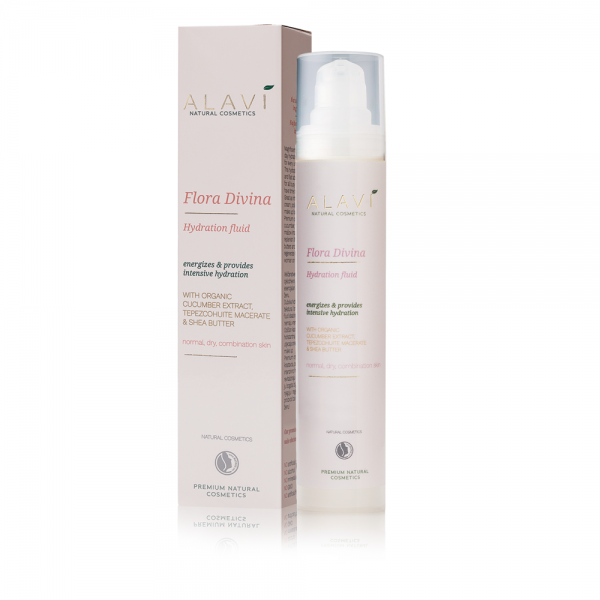 Discover the ultimate anti-age luxury with selected organic ingredients that will make your skin look radiant and youthful. Powered by exclusive organic oils of prickly pear and amaranth, this serum intensively increases skin suppleness and elasticity to prevent fine lines and wrinkles. 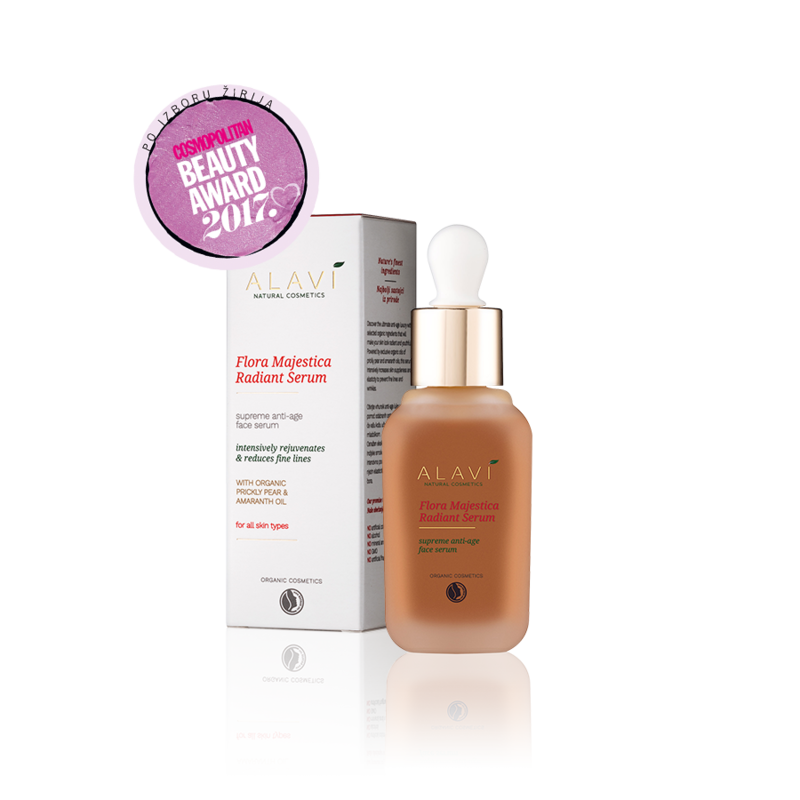 12/12 women who have used Alavi radiant serum have noticed noticeably more supple and firm skin after only 10 days of application. 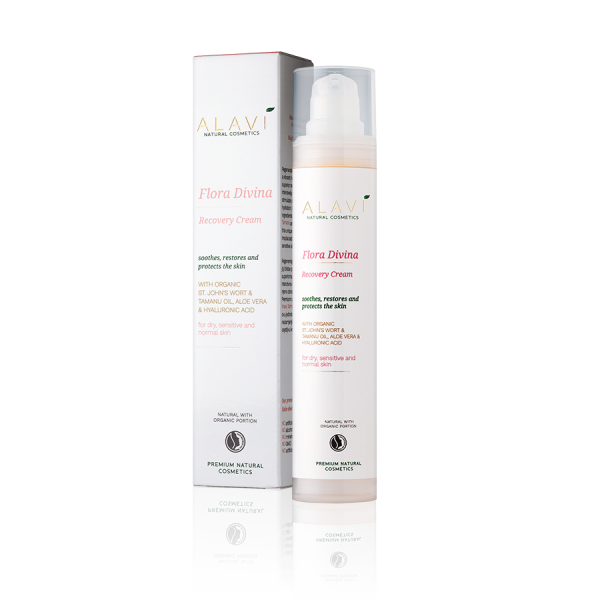 Apply several drops of Alavi radiant serum on clean skin of the face in the morning and in the evening. 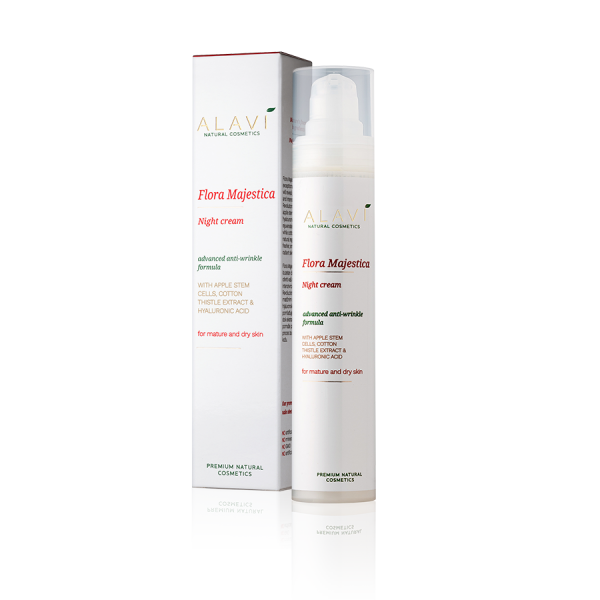 Pay special attention to the area around the eyes and lips. 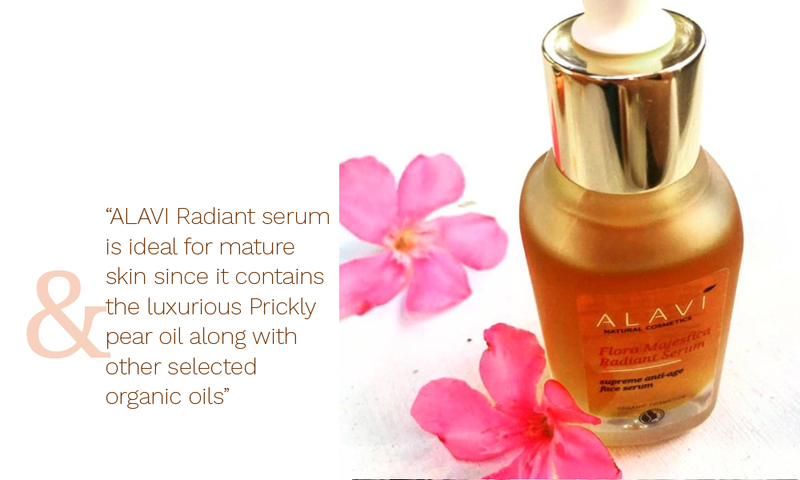 Always apply the serum with upward strokes. 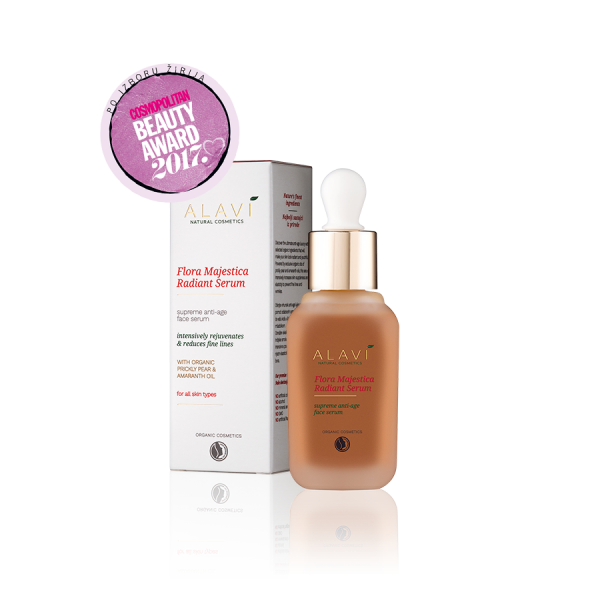 We recommend the use of Alavi radiant Serum together with Alavi night cream due to their synergistic effect.